Perfect for the upcoming Thanksgiving, Christmas and New Years Season. Napkins may seem like small accents, but they can make a big impact on your dining display. 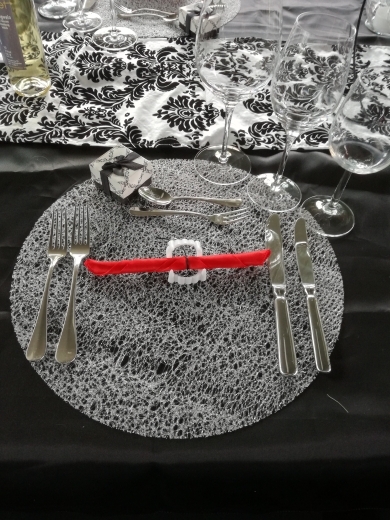 You can simply fold these napkins and set them to the left of your plate, or find an elegant folding technique online and let it sit center on your plate. It was time to replace my everyday napkins (A few had stains I couldn't remove and some had frayed at the edges.). I wanted a set of napkins in a solid dark color, and these fit the bill, perfectly. The material used is not the heaviest, but for the price, and my own everyday use, they can't be beat.